MANILA, Philippines (CNS) — Philippine authorities said an Australian missionary woman religious must leave the country by Nov. 3. 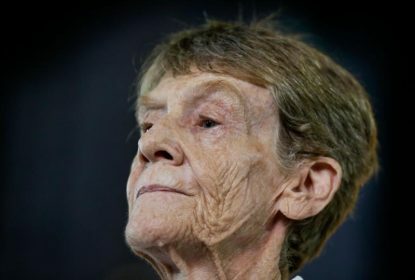 Sister Patricia Fox, Philippine superior of the Sisters of Our Lady of Sion, had sought for six months to overturn repeated government decisions to deport her after she was accused of participating in partisan political activities. The Bureau of Immigration announced Oct. 26 that it had downgraded Sister Fox’s missionary visa to a temporary visitor’s visa that expires Nov. 3, ucanews.com reported. Sister Fox was allowed to stay in Manila as a tourist pending a ruling on a second appeal to the Department of Justice. The immigration bureau order, however, requires her to leave the country even though her appeal remains under consideration. “Under the circumstances she is compelled to leave under strong protest,” said attorney Katherine Panguban of the National Union of People’s Lawyers. “Sister Fox will leave the Philippines with a clear conscience that she has done nothing wrong and illegal during her 27 years of stay in the country,” Panguban said. Dana Krizia Sandoval, immigration bureau spokeswoman, said it was “too early to tell” if the nun’s visa could be extended. “We have to wait for the decision on her appeal to the (Justice Department) first,” she said. In July, authorities ordered Sister Fox to leave the Philippines after she was declared an “undesirable alien” by the bureau. In a 10-page resolution, it found the nun was “in violation of the limitations and conditions of her missionary visa” for reportedly joining partisan political activities. Philippine Church leaders have repeatedly condemned the deportation order, saying it is a government move to harass those who criticize Philippine President Rodrigo Duterte’s administration. Throughout her years in the Philippines, Sister Fox ministered to tribal peoples and political prisoners and assisted land reform advocates. Panguban said Sister Fox’s effort to remain in the country would continue through the appeal to the justice department. “We shall continue to defend the rights of peoples and hold responsible repressive governments in all fora,” she said. Sister Fox said she has no choice but to leave Manila for Australia but that she intends to return to the Philippines in 2019.